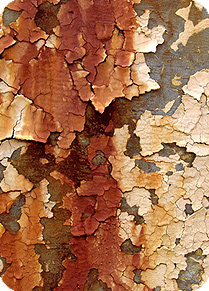 Massachusetts law requires lead paint in houses built before 1978 to be removed or covered if children under six years are living in the home. If you’re a residential homeowner or the owner of rental housing, it’s imperative that you protect children from the dangerous effects of lead exposure. One Way will safely manage the removal or containment of lead paint on your property, ensuring adults and children don’t suffer the life-threatening ailments that can result from lead exposure. We employ a variety of lead removal techniques, including heat scraping, chemical and mechanical procedures. Each process incorporates safety controls to prevent the spread of lead fumes or dust, and One Way disposes of lead paint and waste in full accordance with state and federal laws. When less costly lead paint containment is appropriate, we use encapsulating coatings to cover exterior and interior surfaces. Whatever the extent of your lead issue, One Way will protect your property and your health. One Way is certified by the Federal Environmental Protection Agency (EPA) as a Lead Safe Renovator Repair Painting contractor, and licensed as a Lead Abatement Contractor by the Massachusetts Department of Occupational Safety (DOS).